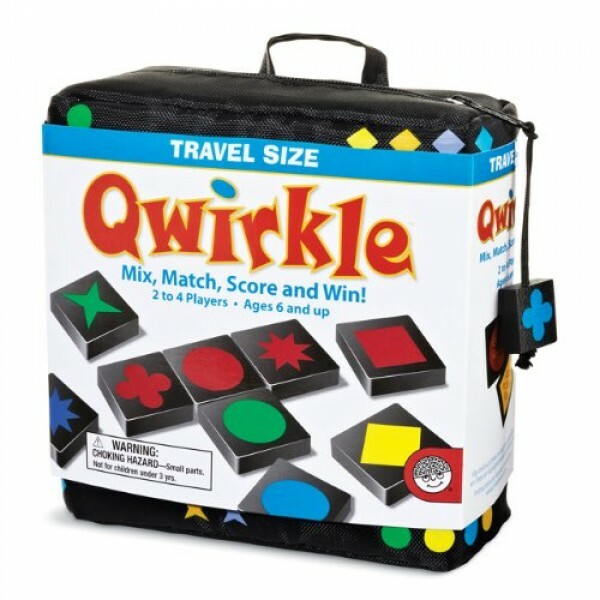 MindWare's tactile block game Qwirkle combines logic and strategy with easy-to-learn rules. Plan your moves to create columns and rows of matching colors and shapes; score big when you place a tile that works in multiple directions. This version is perfect for travel, with 108 3/4-inch, solid wood tiles in a zippered pouch. 2 to 4 players. You can find the full-sized version of Qwirkle here.